Hey, have you seen this thing on the supermarket shelves lately? It’s a new product from Dutch Lady. Not at the dairy aisle, but at Beverage. Most of us are used to having chocolate drinks such as Milo or Vico. 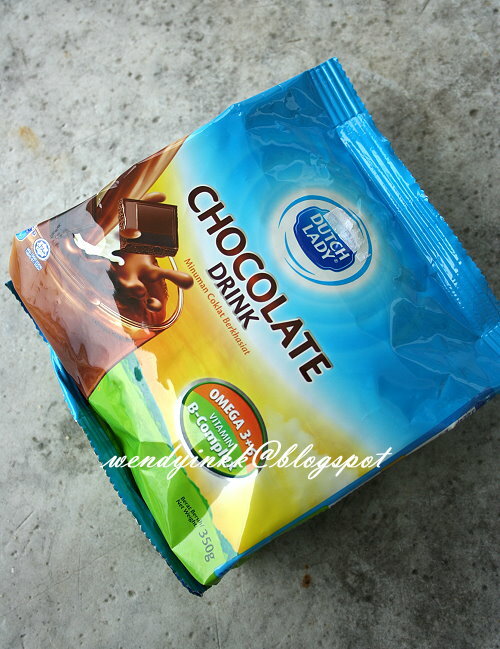 But when I saw this Dutch Lady Chocolate Drink in the supermarket, it caught my attention. It says there that it’s the “tastiness of chocolate with the goodness of milk”. It’s unique in the sense where it’s not the ordinary chocolate drink but its chocolate powder infused with milk powder which in my opinion has more flavour. It’s tasty, nutritious and best of all, ezymix. There has been a few contest running on www.biarbetul.my before 18th September 2012 and some of you could have been lucky to win limited edition tees and Ipod Nano. Sounds good huh! Now I wonder if you’ve noticed lately these few weeks there’s a truck going around high traffic areas in Klang Valley. Did you happen to get a sample drink from the truck and wondered what is that drink with the yummy chocolate-y taste? There’s no brand stated… mysterious eh. No fret no fret if you didn’t see the truck or win anything from them last few weeks. 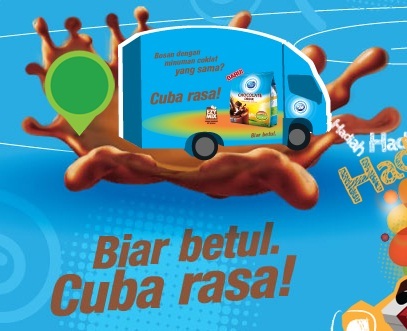 From September 19 onwards, lookout for a Biar Betul truck. It’s blue in colour with a huge picture of Dutch Lady Chocolate Drink on the sides of the truck. You still stand the opportunity to win prizes and vouchers from them over the next few months, yes, months! Sounds fun and exciting yeah! Log on to www.biarbetul.my to track the trucks and chase after them! For those who don’t reside in Klang Valley or reside here but think you can’t bump into those trucks, you can still have some online fun in Facebook! Wherever you are in Malaysia, just join the EZYMIX party at Dutch Lady’s FB page and play the EZYMIX Party for a chance to win RM50 shopping vouchers weekly or discount vouchers to purchase Dutch Lady Chocolate Drink when the player hits a high score. You got recipes using this milk powder? 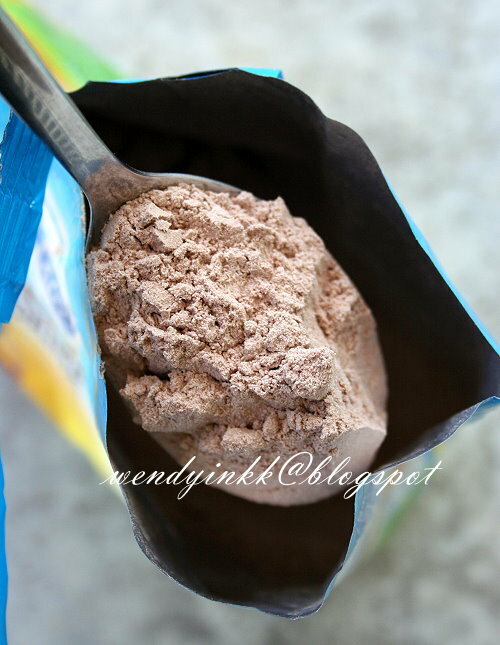 If got, then this choc powder sure banyak laku punya! i came across the said truck recently....tried the sample....tasted good. hehe, that's not part of the assignment. Did u get to win anything? Look out for that truck again, and I wish you all the best! i had tried it yesterday, while i shopping and purposely go to look for it. haha I bought a small packet for trial.